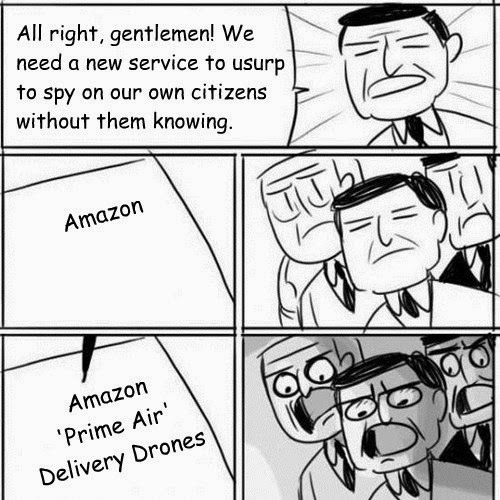 Security Memetics: How long before Amazon becomes part of PRISM? People are already afraid of commercial drones being used to invade their privacy. Some take the threat so seriously they even talk about shooting them down. Could the NSA resist such a tempting new potential spy platform?